Saudis are expected to begin using the latest transport technologies like Hyperloop by 2020, a report said. 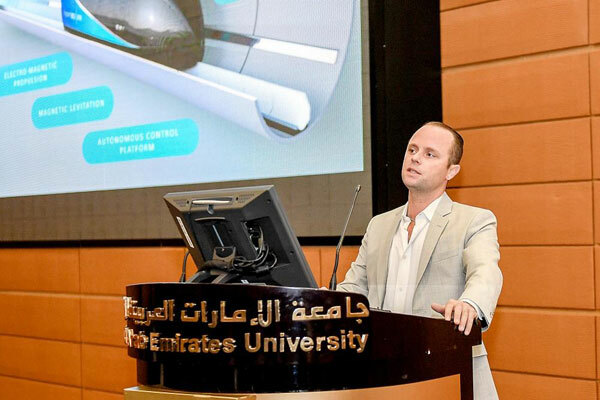 According to a report in Saudi Gazette, the deputy chairman of Virgin Hyperloop, Colin Rice, said the travel time between Riyadh and Jeddah will not exceed 50 minutes once the system is implemented. Meanwhile, the distance between Riyadh and Qidiyyah Recreation City will take just seven minutes. The tickets and service charges for hyperloop will be at the level of bus and train fares and less than air-tickets, Rice noted. The system will include other options, like Riyadh to Dammam line, Jeddah to Neom, and Riyadh to Qidiyyah. The new transport system will not only contribute to creating thousands of high-value job opportunities within the first year since its launch, but the technical specifications that will accompany the system will require cooperation with many effective, big authorities in various sectors. Rice expects the system to begin reaping returns from the injected investments within 10 years from now. The system will fetch huge profits for the kingdom, the report said. Currently, the “Hyperloop System” project is being supported by the governments of Saudi Arabia, UAE, India, Spain and the US, with the projects expected to open soon, the report said. , the deputy chairman of Virgin Hyperloop, Colin Rice, said the travel time between Riyadh and Jeddah will not exceed 50 minutes once the system is implemented. Meanwhile, the distance between Riyadh and Qidiyyah Recreation City will take just seven minutes.